What disappointed you about Itsy Bitsy Spider? The writing mostly. The grammar could have been better , but just her over all fluidity needs a lot of work. 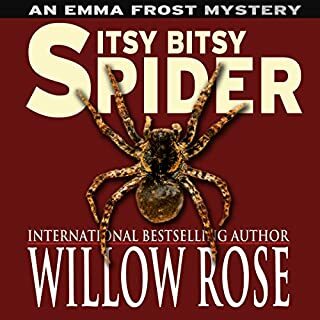 Has Itsy Bitsy Spider turned you off from other books in this genre? The funny thing is that on Marlon Braccia's Voice page she mentions this style as being..articulate. Which is very ironic because she was anything but. She mumbled several times, slurred words together and there were even points where I just could not understand what shew as saying no matter how many times I listened. I think this could have been a very entertaining book without the glaring problems with the writing and reader. It's really a shame I was looking forward to this.